Since the publisher of this report is making a passage aboard the sailing vessel Hopalong this week along the west coast of Mexico, don't expect any fresh items. Postings will resume next week. Headlines around the world once hailed Paolo Macchiarini as a super-surgeon, a stem cell trailblazer who was responsible for the ground-breaking, first-ever stem cell-based trachea transplant. It was good enough work, indeed, to be cited in 2013 as a starting point in a pitch by a team from the University of California, Davis, for $13 million from the $3 billion California stem cell agency. "He has acted in a way that has had very tragic consequences for the people affected and their families." The controversy has stirred up the international stem cell community with blog postings and sharp accusations. And in January, Vanity Fair carried an article that reported Macchiarini falsely claimed he was part of a “highly classified group of doctors from around the world who cater to the world’s VIPs,”including Pope Francis, Bill and Hillary Clinton, Emperor Akihito of Japan and President Obama. The Italian doctor has denied the charges that led to his dismissal in Sweden and has been working in Russia. The Macchiarini saga and its California connections offer a peek into the global nature of stem cell research and how scientists must rely on the integrity of others thousands of miles away -- as well as the sometimes agonizingly slow search for cures. It also provides a deeper look at how the California stem cell agency goes about handing out money. The California Stem Cell Report queried both Balafsky and Tarantal about their grant along with the California Institute for Regenerative Medicine (CIRM), as the stem cell agency is formally known. "As with all the research we fund we have been carefully following the progress of Professor Belafsky’s project ensuring it continues to meet our rules and regulations." "Dr. Macchiarini has had no involvement in this project on any level, in any way, at any time." Macchiarini was not always isolated from UC Davis and Belafsky. 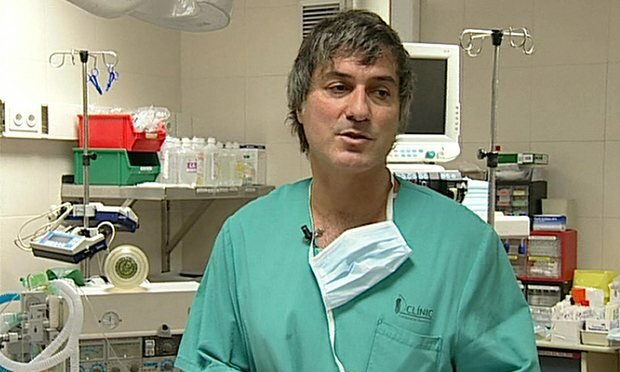 Macchiarini served on Belafsky's international team in 2010 when the Belafsky group performed the second-ever larynx transplant. The operation restored the voice of a Modesto, Ca., woman who had been unable to speak for a decade. UC Davis issued a press release saying Macchiarini served as an advisor and assisted in the surgery. The statement also said that Martin Birchall of the United Kingdom, a co-leader with Macchiarini on his ground-breaking 2008 transplant surgery, served as a scientific advisor and assisted with the California larynx surgery. Birchall was identified as a collaborator on the CIRM grant that was approved for Belafsky and Tarantal. A press release from University College London said that the work in Davis would serve as a "fundamental under-pinning" for two clinical trials in the United Kingdom. Birchall received a $19,800 planning grant in 2011 to prepare an application for research that appears to be aligned with the current work at UC Davis. Birchall was listed by CIRM at the time as a researcher at the California campus. "Dr. Birchall was involved in our project at the onset, but due to the logistical difficulties of intercontinental collaboration, is not currently an active participant." The Belafsky/Tarantal application originally sought $13.3 million. It was trimmed to $4.4 million on the recommendation of the agency's then president, Alan Trounson, who apparently agreed with reviewers that the initial scope and budget were high, but still recommended funding. The application was given a score of 70 on a scale of 100 by agency's blue-ribbon scientific reviewers, all of whom came from out-of-state. As is their usual practice, the reviewers met behind closed doors and voted on the application. The action then went to the CIRM governing board, which has almost never rejected a favorable decision by its reviewers, whose economic and professional interests are not disclosed publicly. The score of 70 placed the proposal just below the cutoff line of 75 for routine approval by the board, but the reviewers did not nix application. The agency publishes a summary of reviewer comments, which does not identify applicants or their collaborators. The summary on the UC Davis application said the research "presents a unique opportunity to bring a world-leading regenerative medicine technology to California." The summary additionally said, without elaboration, "It was also noted that this project is unlikely to be funded by other agencies." "Reviewers agreed that having already treated human patients (such as those involved with Macchiarini) using this approach is strong proof of concept(for Belafsky's work)." Reviewers noted that "manufacturing and testing methods were not well described" but "the UK-based collaborators (Barchall and his group) will clearly play an important role in helping to establish the manufacturing process." "Reviewers were unclear on the relationship between the California- and UK-based team members and whether the relationship and efforts were collaborative or duplicative." Belafsky appeared before CIRM directors in Los Angeles in December 2013 to ask them to approve his research, saying good treatments for "complex breathing and swallowing problems" do not exist. With little debate, the board voted 8-0 to approve the award. "Dr. Macchiarini has never been a part of the UC Davis project or any work that CIRM has funded.... The primary aim of the CIRM project is to determine the scientific reproducibility of research results from previously published studies regarding tissue-engineering for severe airway stenosis. The results are pending." "The translation of high-risk, complex innovation from the laboratory to suffering patient is not an easy road. The controversy surrounding Macchiarini has resulted in the redoubling of our efforts to explore the science behind what saves lives and what does not. This step is essential in order to lay a firm, evidence-based foundation upon which to build. "Since your primary focus relates to the work of Macchiarini, I would like to re-emphasize that our project is fundamentally different. Our research is focusing on decellularized trachea only, whereas he has utilized synthetic grafts." "This is a work in progress, and we do not yet have the data to answer all the questions raised by the scientific community. We may apply to CIRM for funds to continue our research, but will not consider human implantation until we are satisfied that the science is sound and the technology is safe." Here is the text of the response from scientists Peter Belafsky and Alice Tarantal of UC Davis concerning questions asked by the California Stem Cell Report. The questions first and then the response. "Has Macchiarini been involved in any way, including informal consultation or contact, with your CIRM award? If so, please describe the nature of that contact. "What is the nature of the collaboration with Birchall? "Have the disclosures concerning Macchiarini altered your direction or delayed your CIRM research? "Has UCD inquired concerning your CIRM research in the wake of the Macchiarini disclosures? If so, what is the status of that inquiry? "What is the current status of your research? The CIRM progress report on its web site appears to be old, and you are nearing the final stages of the term of the award. "Do you plan to apply to CIRM to advance your research into a clinical trial? "Is there anything else that would be useful for the public to know?" 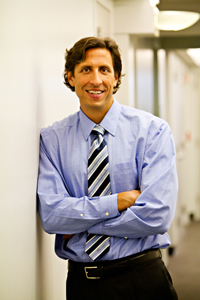 "I appreciate your inquiry and dedication to advancing regenerative medicine. I am a head and neck surgeon specializing in the care of patients with complex airway collapse. In June of 2008 an international team performed what was then considered to be the world’s first tissue-engineered organ transplant to help save a suffocating mother who was failed by contemporary medicine. The team took a donor trachea stripped of innate cells, implanted it with autologous stem cells, and transplanted it into her failing windpipe. The operation was a success, and the patient is alive and well. Based on this achievement, similar technology was used in 2010 to save the life of a 10 year-old boy; he is now a thriving 15 year-old. "Since the initial success with decellularized/re-cellularized human donor trachea, work on synthetic trachea implanted with autologous stem cells has not shown equal promise, and people have died. We have had no involvement in these procedures or investigations. "An article published in 2013, by Gretchen Vogel (Science. 2013 Apr 19;340(6130):266-8), questioned the success of this work and urged caution before moving the science forward. She and others, our team included, have suggested that more research is required to determine the fate of the cells and the long-term viability of the grafts before making the implants widely available to patients. Our team at UC Davis is uniquely qualified to address these questions and we coordinated the CIRM proposal to fund the research to critically evaluate the donor trachea method. Our university’s support in this endeavor has not wavered. "The ultimate goal of our work is to provide better treatment options for people with life-threatening airway stenosis. The primary aim of our CIRM grant is to take a step back and understand what happens with the grafts in the lab before initiating operations in people. This is a work in progress, and we do not yet have the data to answer all the questions raised by the scientific community. We may apply to CIRM for funds to continue our research, but will not consider human implantation until we are satisfied that the science is sound and the technology is safe. "Since your primary focus relates to the work of Macchiarini, I would like to re-emphasize that our project is fundamentally different. Our research is focusing on decellularized trachea only, whereas he has utilized synthetic grafts. 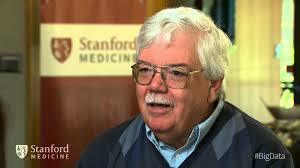 The California Stem Cell Effort -- $3 Billion, $6 Billion or $9 Billion? Many persons know that the true cost of California's stem cell research effort runs closer to $6 billion rather than the $3 billion figure normally bandied about. What if the cost were boosted to about $9 billion because of wasted research that cannot be replicated? "There's a replication crisis in biomedicine -- and no one even knows how deep it runs." The Slate piece cited a $28 billion figure nationally for the amount of preclinical, biomedical research that cannot be reproduced and thus represents money wasted. The estimate was produced last June by two economists. They analyzed previous studies to come up with the dollar figure, calculating that 50 percent of the research they examined could not be replicated. "Then there’s the fact that the heads of many labs have little sense of how, exactly, their own experiments were carried out. In many cases, a graduate student or post-doc did most of the work, and then moved on to another institution. To reconstruct the research, then, someone had to excavate and analyze the former student or post-doc’s notes—a frustrating, time-consuming task. 'A lot of time we don’t know what reagents the original lab used,' said Tim Errington, the project’s manager, 'and the original lab doesn’t know, either.'" The increasing attention to the replication problem has definite implications for the California's stem cell research effort, which has had difficulty getting industry to pick up its research and move it into widespread use. The agency, formally known as the California Institute for Regenerative Medicine(CIRM), has embarked on a unique, $150 million effort to entice industry into advancing the Golden State findings. One of the agency's lures will allow its business partner to cherry pick the agency's research and lock up its selections for commercial use. But if 50 percent of CIRM's research can't be replicated, the agency may not be actually offering very much. As for CIRM's costs, it survives only on money that the state borrows (bonds). The $3 billion it will disperse carries interest costs that make the total bill roughly $6 billion, not counting non-replication waste. CIRM is slated to run out of cash in about four years. Seventy-eight comments have been filed on the Slate story, which is part of a collaboration called Future Tense that involves Arizona State University, New America and Slate. Tomorrow Future Tense will hold an event in Washington, D.C., on the reproducibility crisis in biomedicine. The conference is called "Trust But Verify." Here is a link to the agenda. The industry that deals in human eggs is once again pushing forward with California legislation to allow it to pay women thousands of dollars to harvest their eggs for research purposes. The bill is essentially the same as the one vetoed by Gov. Jerry Brown in 2013. It is not clear whether the current author of the measure has been successful in removing Brown’s opposition. The legislation is sponsored by American Society for Reproductive Medicine, the dominant trade group in the largely unregulated fertility industry. "It's perfectly legal for a woman to get paid when advertising through Craigslist to provide eggs for infertile couples, but she can't get paid for a donation in medical research. It's insulting to women, and it keeps California's research institutions in the dark ages. Instead of leading the way on women's health, we're stuck behind 47 other states all because of a misguided ban that assumes women shouldn't be allowed to make their own decisions." Burke and the industry organization have an array of groups backing the legislation, ranging from California's district nine of the American Congress of Obstetricians and Gynecologists to California Cryobank. The bill is opposed by the Center for Genetics and Society in Berkeley along with groups ranging from the Catholic church to "We Are Egg Donors." "The health risks of egg harvesting are significant, but they’re woefully under-studied. A well-known and fairly common short-term problem is ovarian hyper-stimulation syndrome (OHSS), but no one is sure how many women get the serious – sometimes life-threatening – version of it. Data on long-term outcomes, including follow-up studies on reports of cancers and infertility in egg providers, are notoriously inadequate. "It is impossible for women to give truly informed consent if adequate health and safety information can’t be provided. "Offering large sums of money encourages women in need to gamble with their health. It’s what bioethicists call 'undue inducement.'" California's $3 billion stem cell agency bans compensation for women who provide eggs for research that the agency finances but it does allow reimbursement of expenses. The legislation would repeal a state law banning compensation. 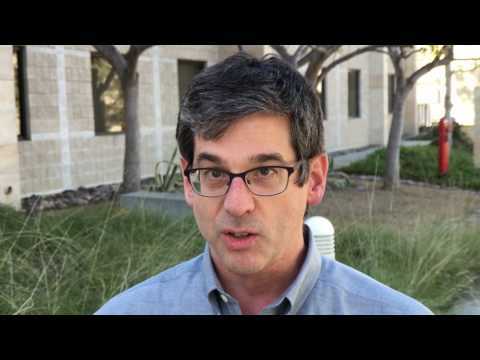 UC Davis stem cell scientist and blogger Paul Knoepfler has been busy this week, posting updates on CRISPR and two persons who have been behind the drive against the research use of human emrbryonic stem cells. First, the information about the embryonic stem cell opponents, James Sherley and Theresa Deisher. "I haven’t really seen Sherley out there in the public domain as an activist that much ever since the ES cell court ruling." The negative ruling came in a federal court case challenging federal financing of human embryonic stem cell research. Knoepfler cited a piece in Mother Jones magazine for his description of continuing activism on the part of Deisher. She was involved in the secretly recorded video tapes of Planned Parenthood officials. Among others, employees of Stem Express of Placerville, Ca., were also taped without their permission, and the California Department of Justice is investigating whether state laws were broken. On the CRISPR front, Knoepfler has a series of links to good articles on the ongoing discussion involving the genetic modification technique. The debate continues unabated, although not in the mainstream media. Directors of the $3 billion California stem cell agency are scheduled to meet next Tuesday with many teleconference locations throughout the state, providing members of the public an ample opportunity to speak to the agency's governing board on any issue of concern. The session is scheduled for only one hour and is expected to involve routine approval of changes in the agency's loan policy. So interested parties who want to be heard should not be laggard in being present. State law allows the public to speak on any issue at a meeting, not just items on the agenda. Teleconference locations are in San Francisco, San Diego, Davis, Pasadena, South San Francisco, Beverly Hills, Elk Grove, Fresno and two each in La Jolla, Los Angeles and San Francisco. The meeting will be home-based at the agency's headquarters in Oakland. More detailed addresses can be found on the agenda. Growing Human Organs in Pigs? Time for California to Step Up? Looking for a new heart? Need a new kidney? How about a pancreas? All of those priceless human organs are in short supply. And a Stanford law professor says it is time to get moving on developing more of them. "Today we face the possibility of babies getting organs grown in human/nonhuman chimeras — beasts that are pigs except for a single human organ. To the uninitiated, this may sound more like the dark arts than modern medicine, but pursuing careful research and potential clinical use of these chimeras is both proper and important. "Every day about 30 Americans die because they can't get an organ transplant. Upward of 120,000 Americans are on transplant waiting lists. We are, medically, on the cusp of being able to save these lives in new ways: repairing failing organs with new genes or stem cells, building mechanical organs and growing replacement organs." "His research into how this can be accomplished is exciting but very early, yet even those preliminary steps have been threatened by a surprise moratorium announced last fall by the National Institutes of Health. NIH said it would not fund any research that involved putting human stem cells into earliest-stage nonhuman embryos. NIH said this wasn't a ban, but just a pause to consider the implications of such research and possibly to create a policy for it." "On a purely theoretical level CIRM has no objection to growing replacement organs or tissues in pigs, provided it met all CIRM’s rules and regulations. We fund research that does that all the time with mice and rats. Right now none of the research we fund is being used to do that." The Salk scientist has already received $6.6 million in awards from the agency, but none of it involves growing people organs in pigs. "That's no guarantee that human organs will grow in pigs, but we won't find out if Belmonte and others can't try." Financial Terms Approved Today for California's $150 Million, Stem Cell Powerhouse. Directors of California's stem cell agency this morning approved financing terms for a proposed, $150 million, public-private company that the agency hopes will accelerate the creation of long-sought stem cell therapies. The plan to create a stem cell "powerhouse" is likely to be one of the landmark legacies of the state's $3 billion research effort -- for better or worse. Such a partnership would be unique in California history and nationally. The agency has yet to produce the cures promised to voters in 2004 when they created the research effort and provided the billions in bond funding. Total costs, including interest, will run about $6 billion..
Today's action set the terms for the $75 million in a loan that the agency -- formally known as the California Institute for Regenerative Medicine (CIRM) -- would hand out. The funds would go to a private partner that would also put up $75 million. A joint committee of the directors approved the terms, with virtually no discussion, on an 8-0 vote during a meeting that lasted only 10 minutes. The aim of the agency is to "de-risk" development of therapies in order to entice a well-financed and well-managed partner to take CIRM research into the marketplace and make it widely available to the public. The partner would be expected to pay back only 50 percent of the loan plus interest. The new company would also have the pick of the 94 percent of CIRM research that doesn't already have a business partner. The agency plans to provide the $75 million in three different notes. CIRM would then be able to sell the notes to another investor at time when it would appear to be most profitable. Or the agency could simply hold onto the loans. The loans would be convertible to stock in the company, although state agencies cannot legally own such stock. However, a possible buyer for the notes might see an opportunity for profit and would be willing to pay the agency more than the value of the loan. If the company is successful, it could generate royalties to the state's general fund under the provisions of CIRM's rules. Cash from the sale of the loans, however, would go directly to CIRM. The agency has not yet earned any royalties from the research it has funded. Directors of the agency approved the concept for the new company -- minus today's finance terms -- at a meeting in December. Maria Millan, senior director for medical affairs, told them that the goal is "to create a therapeutic powerhouse that increases the likelihood of getting stem cell therapeutics to the patients." Today's action set the stage for final preparation of a request for interested parties to apply for the $75 million for what it calls ATP3 (short for Accelerating Therapeutics through Public-Private Partnerships). CIRM has said the partner could be an existing company, a new one or some sort of combination. The agency said it consulted with companies, lawyers and venture capitalists to prepare the financing terms. Under the current timetable, the application request would be posted in the third quarter of this year, according to Kevin McCormack, senior director for CIRM communications. The proposals would be reviewed the agency's grant reviewers behind closed doors during the first quarter of next year. In nearly all cases over the last 11 years, favorable decisions by the reviewers are routinely ratified by CIRM directors. The directors are expected to take their formal vote in early summer of 2017. The blue ribbon reviewers come from out-of-state. The identities of reviewers on specific applications are withheld by the agency. Their professional and economic interests are not publicly disclosed, although agency asks for the information and asks the reviewers to recuse themselves if they (the reviewers) see a conflict. CIRM Director Steve Juelsgaard, former executive vice president of Genentech, said the award is more about business than science and needs reviewers who understand what makes a business successful. CIRM officials said they would brief the joint committee on review procedures for the award when they are more developed. "CIRM diligently scoured the landscape for inspiration for its ATP3 model. This effort confirmed that ATP3 is a novel response to a unique set of challenges not commonly encountered in CIRM’s field. A given component of the program may be inspired by one example or another, but the design of ATP3 as a whole is custom tailored to CIRM’s environment." McCormack also said that the state governor's, treasurer's and controller's offices have all been briefed on the plan. However, under the ballot initiative that created the agency, no state officials, including the legislature, have legal control of the agency policies or research funding. The California stem cell agency has identified a number of risks and benefits that are associated with its $150 million plan to create a public-private company to advance stem cell therapies. Risks and rewards were laid out in its spending/strategic plan for the next five years, which was approved by directors last December. The discussion of risks in the plan and other proposals as well is a hallmark of the administration of CIRM CEO Randy Mills, who joined the agency about two years ago. Prior to his arrival, the agency's staff did not formally offer risk assessments for its proposals. The $150 million proposal has been dubbed ATP3 -- short for Accelerating Therapeutics through Public-Private Partnerships. The financing for the deal is up for approval tomorrow by CIRM directors. "The aggregation of a basket of otherwise unpartnered CIRM projects offers the successful applicant 'multiple shots on goal.' This increases the probability of successfully developing and commercializing a stem cell treatment and makes significant industry investment in stem cell technology more attractive." technologies with a greater opportunity to achieve a financial return due to the aggregation of risk"
Benefits to citizens of California: "the creation of an industrial stem cell treatment powerhouse that expands the tax base, adds high quality jobs, and increases the likelihood of the commercialization of stem cell treatments for patients with unmet needs"
A CIRM memo last week also identified possible financial benefits to the state or CIRM via royalties and/or sale of the state's interest in the company. "Investors may be uninterested in stem cell treatments" is what the agency's strategic plan said in December 2015.
translation where funding has traditionally been scarce. by researchers it has funded into treatments. Indeed, the costs of developing a single drug are estimated to be $2.6 billion. "For CIRM to succeed in its mission, CIRM must partner with other investors to bring treatments to market and deliver them to patients. CIRM plans to address this concern by continuing to champion CIRM - funded project to potential partners and investors and by creating a demand for CIRM -funded projects through public-private partnership designed to accelerate treatment development, described in section 7 of this plan." Other general risks are identified in three pages of risk laid out in the strategic plan, including insufficient "meritorious treatments," safety concerns, FDA reluctance and inadequate health benefits from stem cell treatments. The California stem cell agency is set to embark on a risky and unique attempt to create a $150 million stem cell company. On Friday, the proposal will receive its lengthiest public examination. The public will have a chance to participate in the discussion at eight teleconference locations. The main location is at the agency's headquarters in Oakland. Other locations are in South San Francisco, Napa, Irvine, San Diego, Los Angeles, La Jolla plus another location in Oakland. Also available is a listen-only, toll-free audiocast. Full directions for the audiocast and specific addresses for the teleconference locations can be found on the agenda. California's stem cell agency was born in 2004 with promises to voters of up $1.1 billion in royalties from new, effective and lucrative therapies. At the time, however, creation of a unique, $150 million, public-private stem cell company was not even a gleam in anybody's eye. This Friday, the agency is scheduled to act on details of the financing structure for such a company with the hope of luring industry into a deal with the Oakland-based agency. The bold and risky proposal -- dubbed ATP3 -- has raised questions, including some from readers of this report, about how the intellectual property (IP) and royalty provisions would work. The California Stem Cell Report last week queried the California Institute for Regenerative Medicine (CIRM), as the agency is formally known, and again this week about the matter, which is a tad complicated but very important indeed. To be clear from the start, CIRM does not own any IP, just the rights to some royalties which would flow to the state's overall budget. "It is very complex as its something completely new. "For the royalties that the (research) grantees negotiate with ATP3, the (state's) general fund will take a percentage of the licensing revenue that the grantees received. All revenue-sharing fees go to the general fund. "If the ATP3 Newco (the hypothetical company) “takes over” a current CIRM grant and becomes the grantee of record, it has the same rights as any other grantee. For CIRM 2.0 awards, there is an option right to convert the grant to a loan. Under a loan, the payback of the loan returns to CIRM. For CIRM 1.0 awards, no such conversion right exists. If the ATP3 convertible note is sold, the proceeds of such sale will return to CIRM. (The agency plans to use $75 million in convertible notes to help finance the company). In such a case, the grantees’ revenue-sharing obligations will still exist. "Grantee X has a cell therapy which was developed under a closed Disease Team 1 grant and is in Phase I clinical trial under a current CIRM 2.0 CLINI grant. NEWCO licenses the cell therapy IP and data from Grantee X. "A) If Newco decides to take over the current CLINI grant, it will become the Grantee of record for the CLINI grant and have revenue-sharing obligations to the General Fund for that grant (which may be converted to a loan). Grantee X will have a separate revenue-sharing obligation to the General Fund for the closed Disease Team 1 grant. In this scenario, the General Fund may have two sources of revenue from the two different grants. "B) If Newco decides not to take over the current grant, then Grantee X will have revenue sharing obligations under both of the grants back to the general fund." "In addition to the state general fund, David, we would also identify CIRM, potential grantee/researchers and developers, academic institutions in the state, and more broadly the citizens of California. CIRM will benefit in the event the program is successful, ensuring additional funds are available to CIRM to leverage CIRM research programs across the spectrum. Existing and future grantees, researchers and institutions will benefit by opening up commercialization opportunities and providing a path forward for development of CIRM-funded research. As for the general fund, by providing an avenue for commercial exploitation of existing CIRM-funded IP (which are subject to existing revenue sharing rules under CIRM’s IP policies), the general fund will benefit by the commercial success of these projects that might not otherwise occur." Here are excerpts from the transcript of the California stem cell agency meeting Dec. 17, 2015, at which its directors approved the concept for a $150 million public-private partnership. The concept was part of the agency's spending plan for the next five years. Details of the financing and term sheet were disclosed last week and are scheduled to be approved a meeting on Friday. "We have a lot of things in this (strategic) plan that are new for a funding agency to attempt, but this one (ATP3) stands out even for this plan. Here the concept is that we have a whole bunch of technology. We have 300 or so different programs at CIRM. As we said, only 8 percent of our academic programs currently have industry partners. So how do we fix that? "We thought about a number of different ways, but one of the ways is just to go directly and do it. We thought, well, what would happen if we put out a call for basically the creation of a new entity or a new company that would be a California-based company that could take these technologies and aggregate them and focus on developing and commercializing stem cell-specific technologies? "So the idea is here we would put out a call that would require a successful applicant to put together a business plan that would describe what types of technologies from our portfolio that they would like to aggregate and the synergies associated with those, a great management team that could actually make that happen in a successful way, and then, very importantly, a tremendous amount of upfront capital that they're going to commit. “We have identified and we know as a field that there is a lack of industry pull for stem cell therapeutics. Although CIRM has invested approximately $2 billion so far in developing a portfolio of approximately 300 technologies, we know that only 6 percent of CIRM's academic projects have been licensed by industry. And in discussions with the University of California system, we know that of the 3,400 technologies being marketed, we're not even talking about all technologies, but just those that are being actively marketed, less than 2 percent of those are stem cell programs. "So we are proposing to the board today an initiative, the ATP3 initiative, as a means of engaging industry by creating an opportunity for top-tiered leadership and management teams to come in and competitively be evaluated in their ability to form an entity which would aggregate CIRM's most promising technologies. By aggregation, it would offer multiple shots on goal on these product development candidates which increases the probability of success, so called de-risking the proposition. And what we anticipate is this would make it more significantly palatable and actually incentivize industry to come in in partnership. In addition, what's baked into this initiative is that CIRM would leverage its capacities in terms of administrative review structure and advisors to help this entity come up with the best possible portfolio. And CIRM would continue to be involved by funding the development of these in-licensed technologies. "So as a general structure, the accelerating therapies to public private partnership, ATP3, the major goal of this is to get the CIRM-funded stem cell technology candidates to the patients, get the technologies to the patients, and how do we do that? We pull industry in, we get a private partner through this competitive process who will in-license, develop and drive toward commercialization the aggregated portfolio. And as I just stated, CIRM will be actively involved in this and choosing and enabling the licensing and in helping to fund these program's developments. "In addition, the researchers would have continued funding for the advancements of their project. just to back up a bit, when these in-licensed programs come in, they come in with current funding for these programs to go to a certain value inflection point. if they're chosen by CIRM and by the ATP3 awardee to come into their portfolio, then the project would get additional funding. For universities, by design of this initiative, there would be a demand creation for out-licensing cirm-funded technologies and, therefore, a greater opportunity for financial return which then could go on to fund future projects and efforts. And for citizens of California, as Dr. Mills stated, this is an opportunity to create a therapeutic powerhouse that increases the likelihood of getting stem cell therapeutics to the patients. "The private partner or the awardee, the applicant, could be an established company, a spin-off, or a new company altogether that's formed by a team of professionals that have come out of either pharma, biotech, or could be investors. They will be judged on and will propose an exceptional business plan to aggregate these technologies, give the rationale for this, propose how this will create value and bring return to the stakeholders. And they would come in with a leadership team that would be judged on their track record and their strength that they bring to the initiative and the likelihood they'll be able to execute on the business plan and bring about the goals of this initiative. The entity will be required to come in with significant investment upfront and utilize this to execute on the business plan while CIRM will fund the support of the development of the in-licensed projects. "The CIRM award is anticipated to be approximately $75 million of funding over a five-year period. It could be in the form of a loan, but the applicant, the awardee, would be required to match the total award amount, regardless of how much of the loan they take on, dollar for dollar upfront. The awardee would also be required to comply with the pricing access and march-in provisions of CIRM's IP regulations and to provide the licensor of the CIRM projects with the right of first refusal should they decide to shelf or cease development of that particular technology." California's stem cell agency this week unveiled details of a far-reaching and unique proposal to create a $150 million, public-private company to speed commercialization of stem cell therapies and bring them into widespread use. The proposal by the California Institute for Regenerative Medicine(CIRM), as the $3 billion agency is formally known, is believed to be a first in California history in terms of its size and scientific scope. It goes well beyond any such stem cell efforts involving other states. The agency hopes to lure business into its stem cell game with a $75 million loan with invitingly lenient terms. CIRM's private partner would have to repay only 50 cents on each dollar of the loan. However, the partner would be required to match the loan with its own $75 million contribution. Randy Mills, president of the agency, says the goal is to create a "powerhouse" company that would step up development of stem cell therapies that have been slow to emerge. It would "de-risk" the effort because of the state contribution. The CIRM proposal also envisions the possibility of the enterprise issuing publicly traded stock, which could mean huge profits for initial investors, such as CIRM would be. The project -- dubbed ATP3 -- comes before a special panel of CIRM's governing board directors next Friday at a meeting in Oakland. The panel is expected to review and approve a proposed term sheet for the financing so that the agency can post a request for applications very soon. The meeting is public. The agency normally also has teleconference locations elsewhere in the state available for public participation along with a listen-only, toll-free audiocast. "The overarching objective of ATP3 is to encourage industry involvement in cell therapy through the creation of public-private partnership that advances existing high quality CIRM-funded stem cell technologies toward commercialization. "Our main objective in structuring the terms of the award was to strike a balance between ensuring a financial return to CIRM and thus the citizens of California while at the same time ensuring the attractiveness of the award to encourage industry participation.... Although CIRM is not a venture capital firm or a traditional investor and is willing to bear significantly higher levels risk, the risk should be commensurate with the potential reward. Thus, if we are successful in creating a valuable stem cell enterprise in the State of California, it is appropriate that CIRM and the citizens of California participate in the financial upside." "This award is unique, and provides for the establishment of a new, for-profit California-based entity, which if successful, may command a significant future valuation." "A convertible note financing is commonplace in the biotechnology and venture capital community, and allows the note holder to participate in the upside should the issuer become a valuable entity. On the downside, the note holder is protected by the debt portion of the instrument, and could choose not to convert should the issuer perform poorly." Structuring the investment as a convertible loan prevents the agency from violating a law that prohibits the state from owning stock in a private company. The agency could sell the note to another investor that could be willing to pay more than the amount owed on the note because it can be converted to stock. The proposed terms also stipulate that the loan would be issued in three separate notes. Each note could be transferred or sold separately, providing more opportunities for the state to profit. The plan to create the new company also strikes at another issue that CIRM's Mills has spoken about repeatedly -- the reluctance of private companies and investors to engage in stem cell therapy development. In December, he told directors that only about 6 percent of the CIRM-financed research programs (totaling roughly $2 billion) has private partners. The reason, he said, is that the private sector is put off by the financial risks involved in stem cell development. The new effort would also allow the private partner to pick through the CIRM portfolio to select research that would be potentially profitable -- excluding research that already has a private partner. Here are links to the presentation slides on the proposal, Littman's memo and the proposed term sheet. For earlier items on the initial discussion of the plan last December, see here and here.